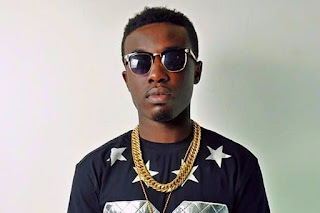 Arab Money Gang boss Criss Waddle has disclosed that, he is not signing any female musician on his label since the last he tried ends up sleeping with almost all the guys within his team even before her first official single was ready. The rapper in a "Question And Answer" on Twitter had react to a question from a follower enquiring why he have only male artistes on his record label. According to the "King Kong" album maker, he aint signing any female artist on AMG Business because the one he had wanted to sign ends up sleeping with almost all his guys. Criss Waddle has several achievements since his entry into Ghana's entertainment industry. Despite his humble roots as a mere plumber, the rapper and CEO is making serious moves which put him on the list of Ghanaian celebrities to watch out for. He has quickly become one of most sensational artists in Ghana. This has not only brought popularity for him but has also enabled him to maintain an affluent life.